Central Oregon Community College student Malerie Pr att, second from left, stands with her advisor, COC C professor Marlena Be llavia, fourth from left, and the Membe family outside an orphanage they bui lt in Zambia. The orphanage now serves children who might otherwise have n o place to live in this country where the life expectancy is just 39 years. Words spoken from a compassionate heart can plant s eeds that bear fruit on the other side of the world. Marlena Bellavia, foreign language instructor at Ce ntral Oregon Community College, proved this when she advi sed Malerie Pratt to consider a few options for continu ing her education. Pratt, a COCC student, went to Italy during the fal l 2005 term at Bellavia’s suggestion. After completing the study abroad program in Floren ce, she wasn’t done and she wasn’t ready to come home. 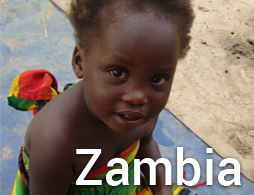 Once again, she called her dedicated and trusted ad visor who sent her on another life-changing journey to Zambia , an impoverished southern Africa. "Malerie wanted something meaningful to do," Bellav ia said. She wanted to help others and after she saw the way children were being treated in other parts of the world, I t old her about Zambia." Bellavia, who had lived in the Congo during her chi ldhood, knows first hand of the desperate conditions in tha t part of the world. 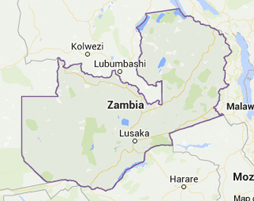 The AIDS pandemic affects nearly every household in Zambia. Poverty is rampant. 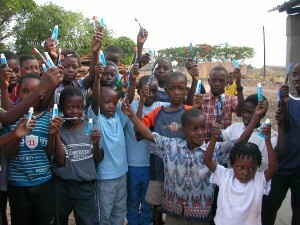 Other diseases such as malaria and cholera plague t hese people as well, according to media reports. Not surprisingly, the average life expectancy for a Zambian is only 38.44 years, according to the Central Intellig ence Agency Web site. Often times, orphaned children are forced to beg in the streets for food, or even worse, must resort to pro stitution, according to media reports and research by the CIA. These may be uncomfortable facts for those living i n Central Oregon, but these facts are painfully known and all too real to those like Bellavia and Pratt. Taking Bellavia’s advice, Pratt decided to see what positive effects she might have or what kind of help she cou ld offer to make a concrete difference in this distant country. And, she has been busy ever since. 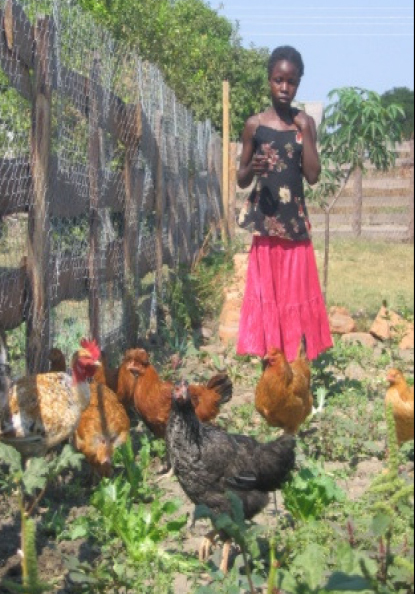 After spending time as a volunteer in Luanshya, Zam bia, Pratt realized that her dream was to help orphaned childr en in a lasting way. Thus began her quest. Her plan was based on the idea that if provided a l oving home, proper nutrition, medical care and an educati on, children would be more able to become self-sufficie nt adults or, at least have reasonable hope for a meaningful future. Pratt feels that simply donating money, with no accountability or plan for how it is spent, is misg uided. 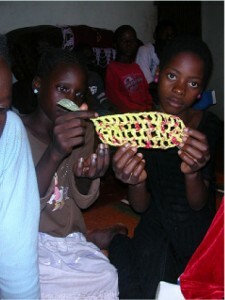 ‘Lupwa’, the Bemba word for family, became the core of the project. Thus, Pratt’s vision, made possible by fun ding from private donations as well as labor or ‘sweat-equity ’, is coming to fruition. Bellavia kept in contact with Pratt and took action herself in the fall of 2006. 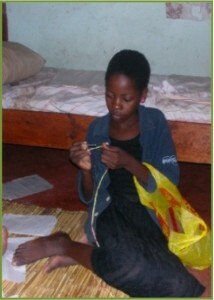 She took time-off from COCC and flew to Zambia to h elp in any way she could. She wanted to see how she could make a difference through direct participation. Before a class filled with students last fall Bella via explained through tear-filled eyes: "I am doing this because it is the right thing to do. " "I have to do this," she said. At great expense to herself and family, she found t he means to go. But even before meeting up with Pratt, she must hav e known that her compassion and positive advice was contagi ous and had already contributed to the great changes that w ere already taking place. 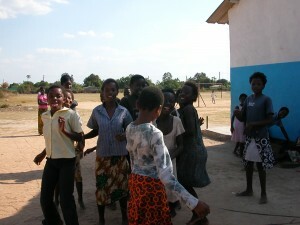 Meanwhile, Pratt, and her Zambian friends, Violet an d Mwala Membe were well into the construction of the new ho me for the children. Bellavia stayed there working. She sorted through the bureaucratic maze for placem ent of orphans and tended to the myriad tasks involved in building an orphanage in a third-world country. "Obviously, there is no Home Depot across town", re marks Bellavia, "building materials are hard to come by." 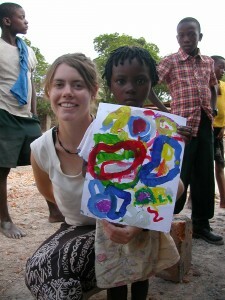 In December 2006, the first Vima Lupwa Home for Orp haned Children was completed and is now home to 11 people . The conditions of the home are spartan by many stan dards. But this model, the one of family, is proving itsel f successful. Vegetable gardens are producing, and nine children, once homeless and unwanted, are sleeping in their own be ds. They have a sense of connection to a loving househo ld, are eating proper meals three times a day and are atten ding school, some for the first time in their lives. Pratt and Bellavia’s Zambian friends, Violet Membe a nd her husband Mwala, are the kind parents to these childr en in the home. Through painstakingly long hours of manual labor mo tivated by unending patience and compassion, Pratt, Bellavi a and the Membe’s have begun to make fundamental and lasting changes.